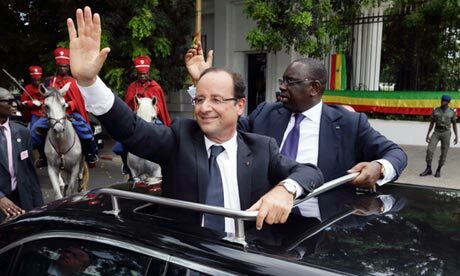 François Hollande is in Africa for the first time as president to begin “a new chapter” in French relations with the continent. Before his trip to open the 14th Francophone summit in which it was not sure that he would attend, he gave a major interview to France 24, where he stated that he would not be sending further troops to Mali but would provide logistical help, equipment and training. The north of Mali militants allied to al Qaeda, have declared this region’s independence since April 2012. Hollande said that it should be Africa that should decide what the response should be. The future of the French language will also be debated. Today 220 million people speak French across the world, but by 2050 there will be 700 million French speakers, most whom will be in Africa. The summit will host 75 delegations in Kinshasa the capital of the Democratic Republic of Congo this week, where the transparency of the presidential and legislative elections that took place in November 2011 have been questioned.